This thoughtfully designed ranch home in The Terrain boasts a truly open and spacious floor plan. The designer kitchen features slab granite, oversized center island with farmhouse sink and stainless appliances, including a gas cooktop, and double ovens. The spacious main floor master suite offers a spa like bath with dual sinks, marble counter, huge walk-in double shower and walk in closet. There is an additional bedroom with en suite bath plus an office with 12 panel french doors. Custom Hunter Douglas plantation shutters are throughout the entire main floor. Other upgrades include iron railings, upgraded carpet, hardwood floors, under cabinet lighting, insulated garage plus many more. The unfinished basement offers fabulous space for future expansion. 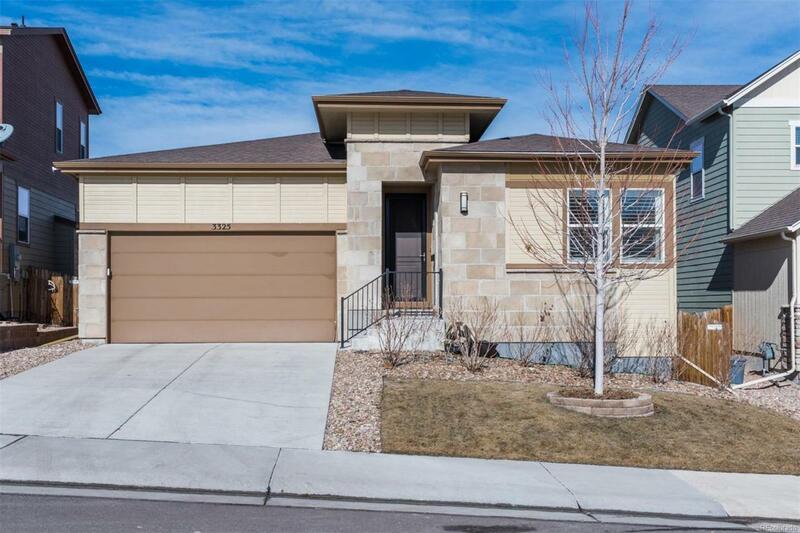 The home sits on a cul-de-sac lot with a covered patio, backing to open space for privacy. This highly sought after community offers trails, swimming, parks and a dog park!